Stoat: Top oil firms spending millions lobbying to block climate change policies? 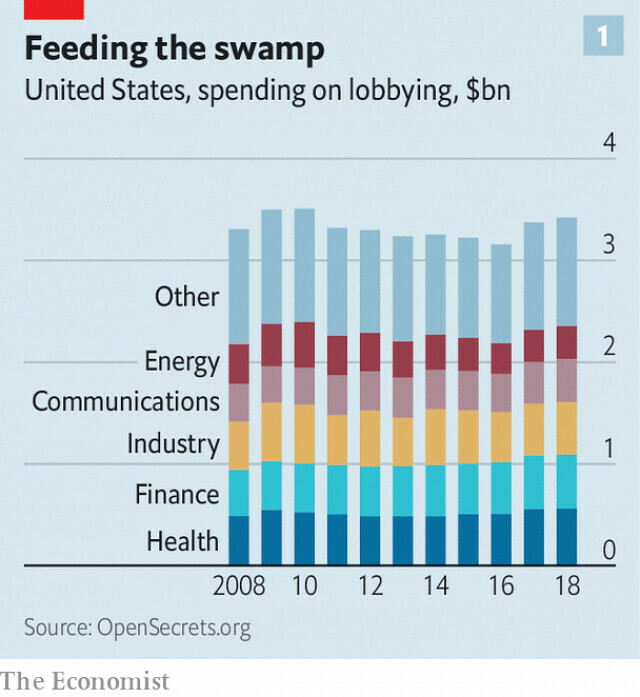 As I understand it, the Open Secrets lobbying information solely relates to specific types of lobbying that requires disclosure: direct lobbying to Federal Agencies and politicians. Spending millions on campaigns to stop proposals for a carbon tax, as several oil&gas companies did in Washington State, would not qualify, and are thus not included. This explains why BP supposedly only spent 5 million on lobbying in 2018, according to Open Secrets, but is known to have given 13 million dollar to the "no" campaign on a carbon tax in Washington State in the same year. It isn't "lobbying" in the same way and thus does not need federal disclosure. Yes, I realise that. But what I found totally lacking in the report was any way to check their numbers. There's no line-by-line accounting that adds up to their final result. I'm pretty sure they've mis-classified a whole pile of stuff, but it's impossible to check. But the Graun mindlessly repeats it, because it's what they want to hear. It be entirely irrational for "top oil firms" not to be spending a fortune on lobbying and propaganda. Lord knows what Donor's Trust and APi get up to, but they work both sides of K Street and are not strangers in the halls of GWPF or Saatch & Saatchi - climateballs all around. OTOH they don't get much value for their money. Oh how Special, Russell. Concern trolling with the best of them. The future might be sulfur. Or one of the many other chemistries without cobalt. Yes, some cobalt is a problem due to informal mining operations. The way that all mining used to be. Guys with picks and shovels and sacks. No worries about heavy metals, cave-ins or black lungs. But not 70% of it. Or even 50% of it. Or even 30% of it. Perhaps 6% to 25% of the cobalt supply is a problem. Produced by the old school ways. What to do about it is complex. We might manage to cut off all purchases of cobalt from informal mining and starve the miners and their families. Or use sulfur and not use cobalt in batteries so we don't buy any cobalt from informal miners, and starve the miners and their families. Or prevent them from mining by guards and walls, and starve the miners and their families. Or build new mines, with good safety equipment, big machines, and hire a few of the old miners and pay them great wages. The rest can go starve, of course. CFACT is Marc Morano, and he's crediting child Blood Cobalt miners in the DRC with the Green Revolution. Good morning. And just what is the UK going to do now? In a radical departure from past behaviour, Theresa May is experimenting with doing something sensible. She's going to ask for a short extension and try to use that time to agree a compromise solution with Jeremy Corbyn, leader of the opposition. Of course, he might see that as a sneaky attempt by the Tories to get him to take some of the blame for the mess we are in.